So you want to know a bit about makeup, curious to explore this new world? Today I am writing this special post for the makeup beginners. Buy Foundation matching to your skin tone. Keep your skin type in Mind, like dry ,combination or oily skin. Focus on the problematic areas like acne marks, under eye circles & dark spots. Use a concealer to hide & brighten up the skin problems. Apply a Compact powder to finish the face makeup base & get that shine free look. Pick up natural,neutral & light shade lipsticks for your first applications.Play it safe. Try to keep your eyebrows natural by filling them with natural eyebrow colors close to your natural hair color.A naturally filled eyebrows can transform the whole makeup look. Blend that natural peach & Pink blush well on cheeks.Don't over go with the blush. Use an Eyelash curler to curl lashes avoid fake lashes for the first time, it make you comfortable & use a mascara to enhance the natural lashes, they make eyelashes look fuller & longer. Note, a flawless skin is the key of beautiful looking makeup. 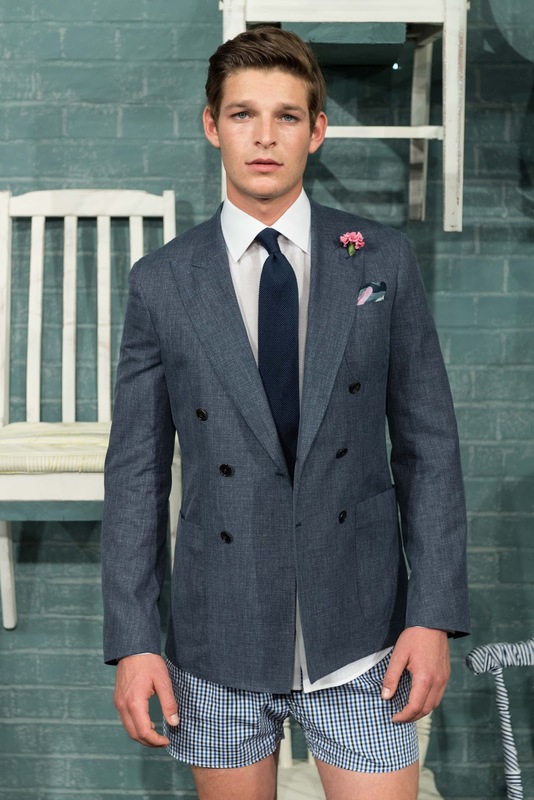 On Saturday 11 June 2016, modern British shirtmaker Thomas Pink - part of the Moet Hennessy Louis Vuitton group - showcased the best of its spring summer 17 business range, in an effort to reinforce the brand’s commitment to providing men with immaculately cut and finished formal shirting, five days a week. A strong visual indication of the direction in which the Jermyn Street shirtmaker is headed, the presentation - inspired by an Annie Leibovitz shoot for Vogue in 2012 - saw models sat on suspended wooden chairs wrapped in traditional Bengal Stripe fabric, wearing the finest business shirting and accessories. 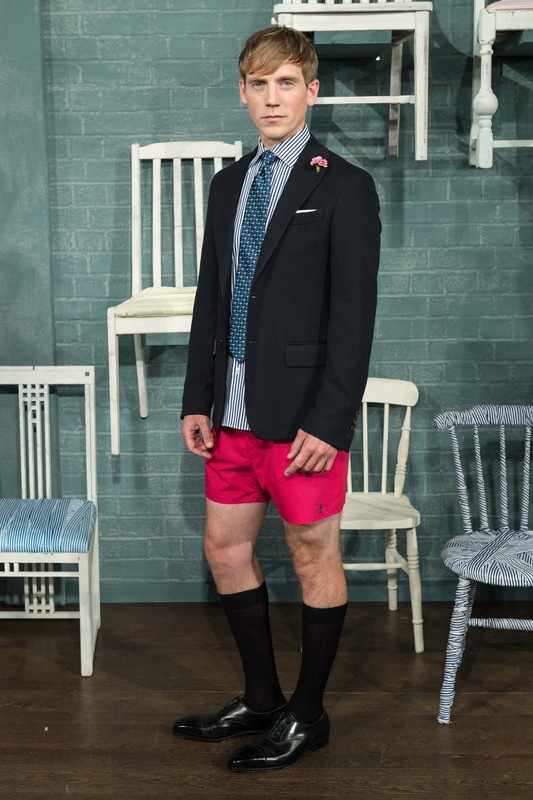 Shirts were styled with crisp cotton boxer shorts, eyewear from E.B Meyrowitz and shoes from G.J.Cleverley. Thomas Pink was founded in London in 1984 by the Mullen brothers, whose founding inspiration was the history of Mr Pink, the 18th century tailor credited as the originator of ‘hunting pink’ - referring to the scarlet jackets of hunt staff. The Mullen brothers appreciated the fundamental quirk of British humour that something so obviously red could be referred to as Pink. This quirk so appealed to them that they saw it as a tension right at the heart of the brand they were founding - namely a men’s brand called PINK - an obviously feminine colour. Thomas Pink shirts are made using traditional, time-honoured methods with exclusive fabrics from world-renowned mills. Detail is everything - the collars alone are hand turned and composed of up to 14 individual pieces. 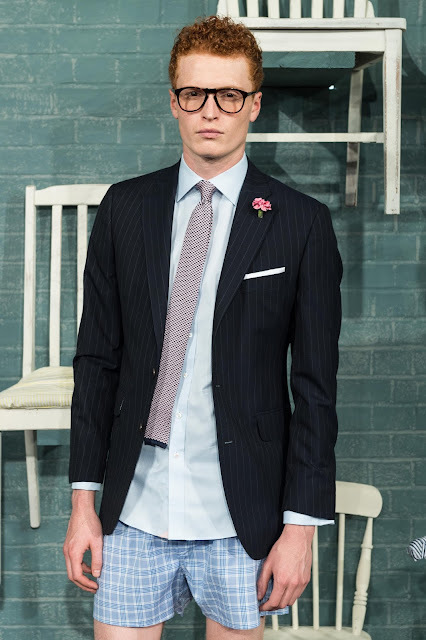 Thomas Pink shirts are available in Classic, Slim, Super Slim and Athletic fits and in addition, the brand also offers tailoring, separates, knitwear and accessories. Celebrated for innovative design, Thomas Pink made its’ name with the renowned original Classic Fit shirt. The style is a modern take on the classic Jermyn Street cut and is generously designed for style and comfort. It features a long tail that stays tucked, as well as signature ‘Pink’ gussets. Since then, Thomas Pink has launched a number of pioneering shirting solutions, including the Athletic Fit - featuring broad shoulders and a narrow waist cut for a muscular physique - and the Traveller shirt - easy care with a special finish to minimise creasing and tackle collar and cuff grime. 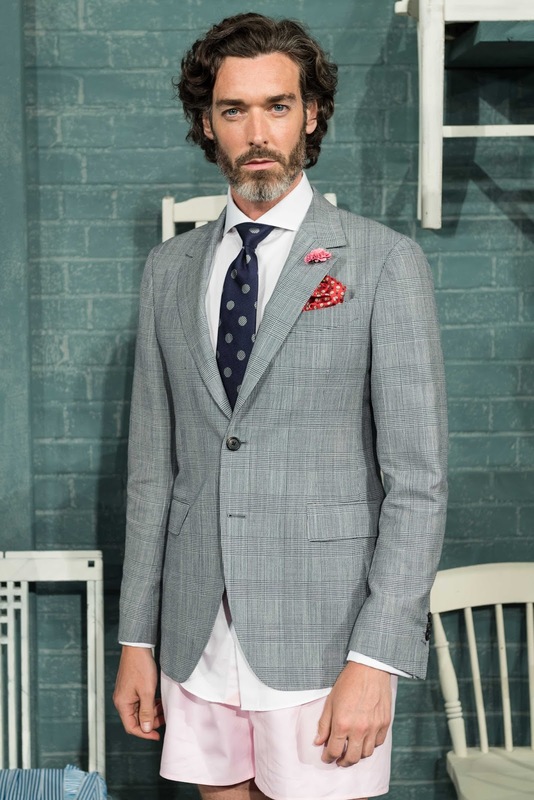 In addition, 2014 saw Thomas Pink launch the Independent collar - a collar specifically engineered to be worn independent of a tie. Ok let's be honest I always have challenges starting my posts or videos with the greetings! I am like shall I say hello guys ? or hello girls or hello everyone? & that's why the pattern keeps changing in my greetings. Well I don't know when will I be satisfied with 1 way of greeting. Well I am currently In Philippines on Vacation & I have been sharing some vlogs on my vlog Channel Here. Boracay is a small island Located in the south Of Manila Philippines. It is known for beautiful beaches,white sand & Green & Blue Waters. I have had a great experience in Philippines so far. The people are so sweet & kind, the whole country speaks English. I haven't met a single person as yet that doesn't speak english so communication is not at all the problem for tourists here. Today I though so share few beautiful pics of nature for you to enjoy because I know Pics speak better. As you see above the sunset in Boracay is totally amazing with bright orange hue of colors. The shadow of the boats & humans make everything so beautiful. We enjoyed the sunset everyday there with drinks & food at the beach.Our Hotel was sea view hotel with open restaurant & private bath beds . We stayed at the Mandarin Island hotel at Boracay at station 2. The water at the beach is very shallow so if you are someone who doesn't know swimming like me & scared of depth or water this will be the best place for you to visit. The beaches are very clean unless & until there are debris from the sea that come to the shore at evening times. However the next morning everything washes away. There are many activities that you can do at the beaches like parasailing, snorkeling, body massage,hair braids etc or in fact local market shopping & enjoy the coconut & special beach drinks like coconut with rum (I didn't). I tried Snorkeling with my husband,we initially went one by one I went for 30 minutes snorkeling & then once I was back my husband got into ocean. We just went again together for 5 minutes to take some pictures together. There were 2 boat people to look after our son when we were down for 5 minutes rest of the time we were looking after our son one by one. Thankfully our sin didn't cry at all whole day of adventure & experienced the beautiful place with us. I think at 3 years age he is more curious to see & learn about new things . Overall it was an great experience at Boracay with my little family. The people are very friendly with tourists, & they treat you with a lot of respect & they love kids, there were always people stopping us to say hello to our son & also play with him. There will be more vlogs coming for you to check on My Youtube Vlog Channel . Can't wait to share more. Have you visited Boracay what was your experience ? 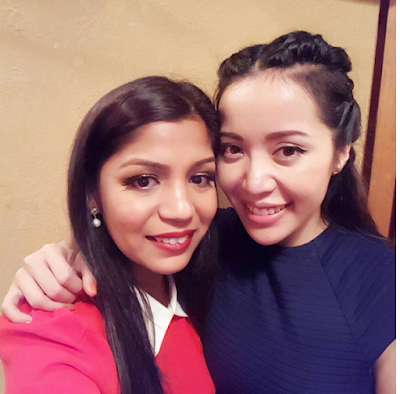 As you see above in my favorite pics with Michelle Phan when I met this gorgeous girl in Tokyo for the Beauty Bound Asia event, I had been rocking drop dead gorgeous straight hair. My hair looks much healthy when I straighten them, a lot of you struggle with hair straightening because many of you don't know that correct technique of hair straightening. 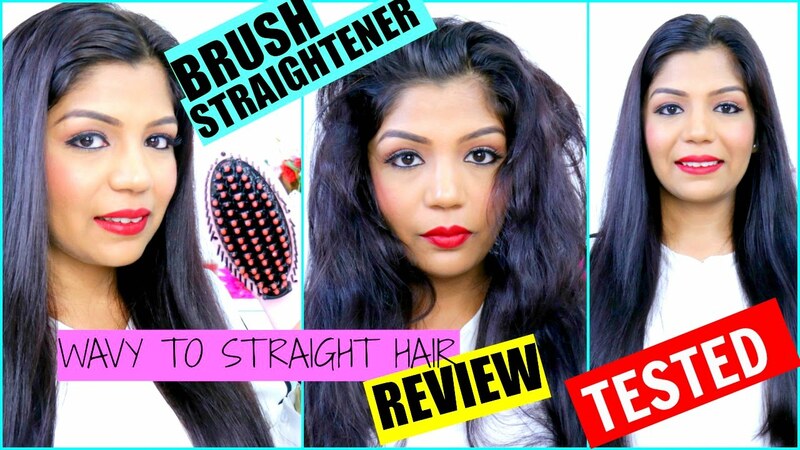 For a perfect sleek straight hair look you require few tools & need to master the art of hair straightening. I have made several tutorials for you girls to understand the basic hair straightening steps over the years. 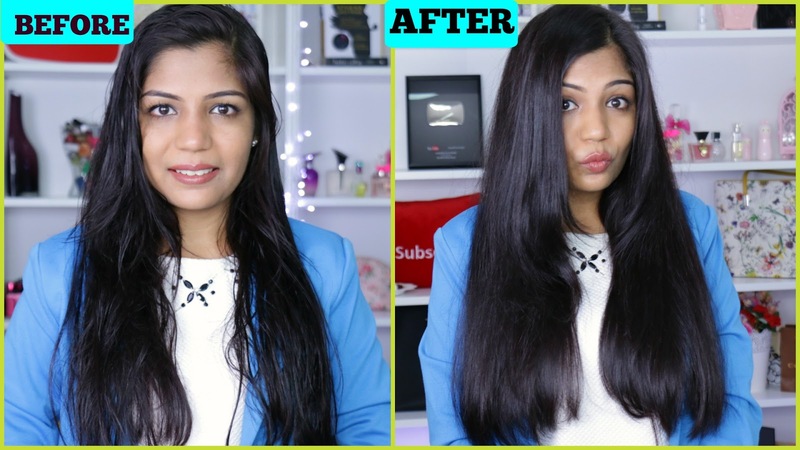 The basis funda of getting the perfect straight hair is to section & detangle your Hair even before starting hair straightening to avoid hair damage & hair fall. Use right good quality tools to avoid the over heat exposure causing hair dry,brittle & damaged look. Use Heat protecting spray before using styling tools to prevent or minimize the damage caused by the heating tools. Use an after finishing spray to seal the open hair cuticles & add shine. 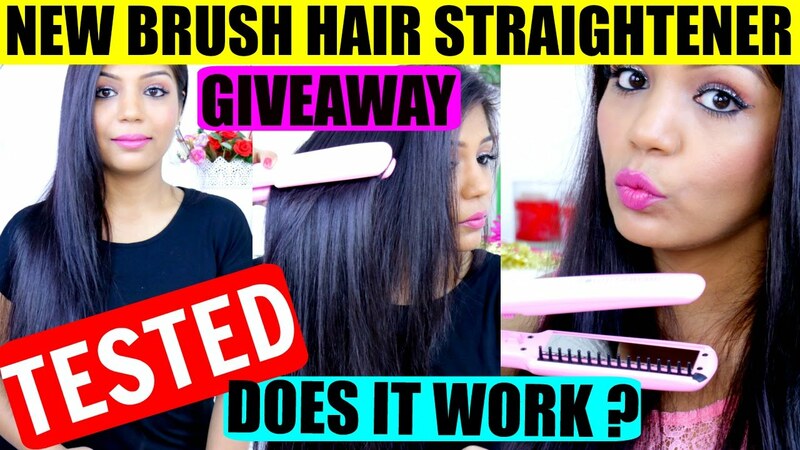 The hair straightening time differs from person to person depending on hair thickness,texture & hair length.What ever the case it is always use an heat protecting spray & Final hair spray to take care of the hair. Also not many people say but i would also like to mention that please do not leave hair products in your hair more then 1 night because leaving for longer will damage the scalp,it will cause scalp buildup & many other hair problems like grey hair & hair fall might occur due to scalp irritation. 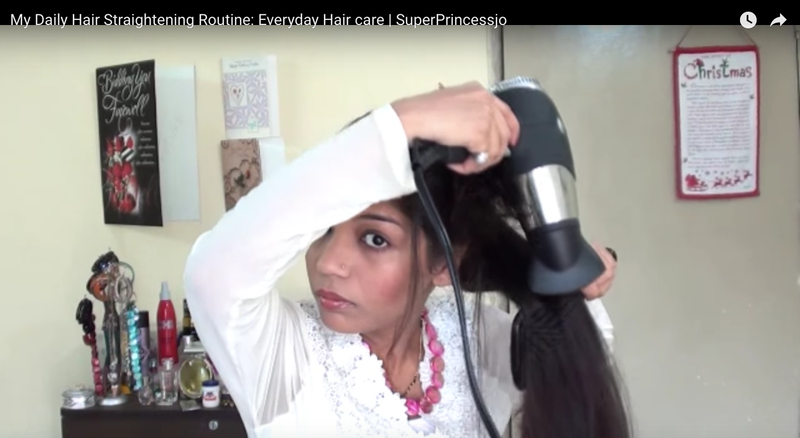 taking a proper hair care & following the right hair care routine is must for taking the pride of hair styling. 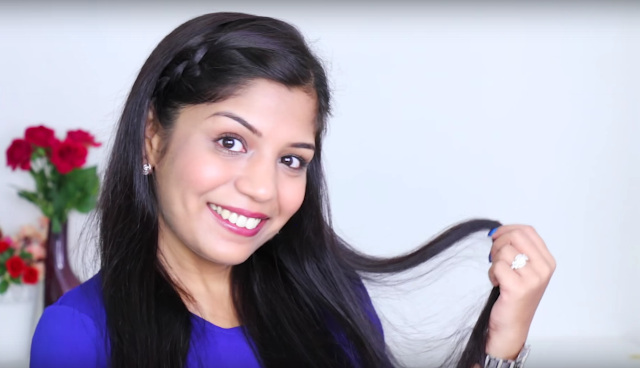 Never ignore the hair care routine specially when you are using hair products or hair chemicals for styling your hair. If you try out any of the above 4 mentioned hair straightening methods please make sure to leave me your comments below. 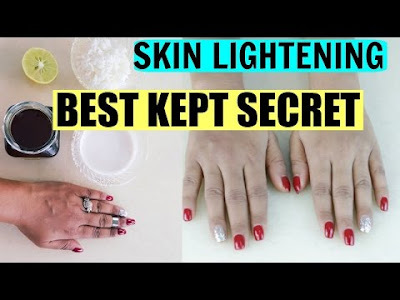 Hey Girls Today I am sharing about the Skin Lightening of dark patches at home & How To Get Rid Of Age Spots from hands,face,neck & remove Sun Tan ,this is an uneven skin tone treatment to achieve younger looking hands & face using Rice. Do you know ? Rice is great for skin and hair. Rice Powder is Asia's best kept beauty secret it's been used for beauty treatments & has many skin benefits. Rice also contains two other sun protecting agents – ferulic acid and allantoin.Washing your face in rice water & rice paste can give you fairer and more crystal clear, spotless translucent skin. This mask is great for acne spot treatments & regular use of this will give you porcelain like clear skin . Rice is also very brightening & polishing it adds natural shine to the skin & makes it younger looking. Do this skin lightening -age spot treatment consistently at least once a week and you should see your skin lighten after a month. If you feel comfortable, you can also use it a few times a week. Depending on how your skin adjusts to this rice mask. This will make your summer months much happier because you don't have to worry about getting sun burned, skin discoloration & sun tan. Use this home remedy to lighten elbow, knee,neck & other parts of body . This is effective home remedy for dark skin patches & spots. Rice polishes the skin & makes it super soft & hydrates the skin naturally. The best part about this sun tan removal skin lightening mask is that it also removed the Age spots, darkness & uneven skin tone leaving your skin feel much younger. If you try this skin treatment please drop me an comment I would love to hear your experince. hello Girls, most of suffer with unwanted facia hair & we want to get rid of it. So many of you have been requesting for an gentle Facial Hair homemade remedy to get rid of facial hair at home. 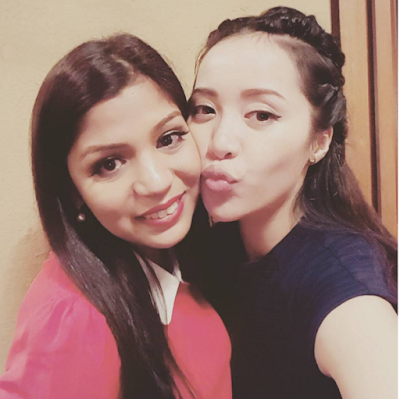 I have been traveling recently In Philippines I I am taking care of my skin as well. Here is how I make this facial hair remover at home with just 2 kitchen Ingredients. Turmeric has extraordinary anti-inflammatory, anti-septic, antibacterial, and anti-aging properties, which make it an excellent face mask ingredient. This golden spice is very effective against acne since it contains strong antibacterial properties, and it can also reduce the visibility of acne scars. Rice has been used since centuries for skin & hair care by asian women it brightens skin,it has anti ageing properties. This facial hair removal mask when used regularly it will pull hair from roots & reduce the hair to a greater extent.Focus on effective area more. If you try this mask please do leave your valuable comments below. Watch the below video to learn more. 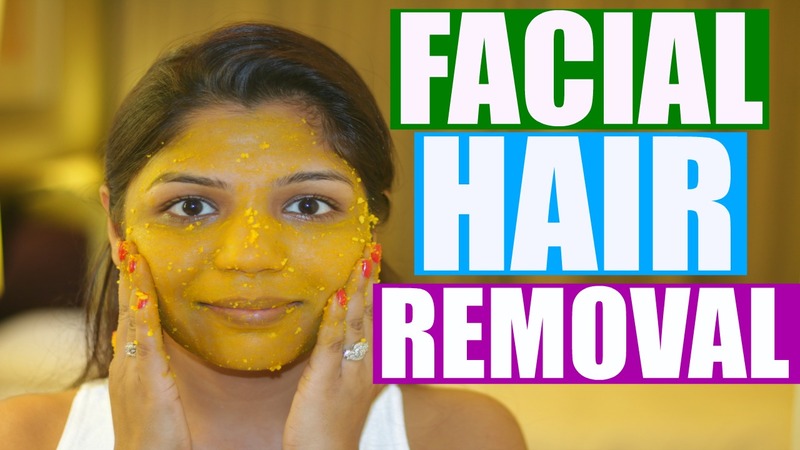 I have also shared another facial hair removal video using Eggs & wheat flour that works wonders for thick ,stubborn hairs too. Please try that to get rid of unwanted hair naturally. Once you try these remedies please make sure to apply a toner afterwards to close the open pores. I would love to hear from you your experience using these masks. Hey Guys This video is about Glam Indian Makeup Tutorial, you wear this as party or wedding makeup as well, I am sharing the easy Cut crease eyeshadow step by step guide to apply makeup. Hey Guys This video is about Huge Zaful Fashion HAUL.I love Online Shopping because it saves time, you get amazing deals & discounts as well as you can get the latest fashion treands delivered at your doorstep. What I like about Zaful is they are quick in shipping & the items that I purchased were $20 and above so the quality is great for that price. Checkout my try on haul video with the pictures & checkout my other social media platforms for more pictures of these items.Enjoy my fashion haul 2016. Hey Guys This video is about weight loss Bedtime Drink That Reduces Stomach Fat Like Crazy .Watch the video for Weight loss tips to lose weight fast & easy.Drink this bed time drink every night after dinner & before sleep & do not eat anything after this.You will notice how flat your stomach feels next day.Drinking this weight loss drink every night at bed time will give you drastic weight loss results that you will be surprised of.Use this drink until you reach the desired weight loss goal. Hey Guys This video is about how to reverse grey hair to their original natural hair color in 7 days.This home remedy can be used on kids,children & everyone facing early or pre mature grey hair.Use the reverse grey hair hair oil every night for 7 days to see the results.And use this reverse grey hair hair mask weekly once before hair wash to see the results. Reverse Grey/white hair Home made hair oil. Reverse Grey Hair/white hair homemade Hair mask. Hey Guys This video is about 5 Hair Masks Using Multani Mitti or Fuller's earth For Oily hair,Itchy Scalp,Hair Thinning problems,Dry Frizzy hair, and to get Shiny Healthy hair at home.I hope you enjoy & try out these Fullers earth hair packs this summer,they also have cooling properties to make hair healthy & shiny.You can try all these 5 hair packs this summer to flaunt healthy ,lustrous hair. Hey Guys This video is about 5 Magical Face Packs For Oil control,Acne , Black Spots ,Improve Skin Complexion, Younger looking Skin using Multani mitti powder/fuller's earth at home.Fuller’s earth is a staple ingredient used in the beauty industry. Nature has provided this magical product to take care of all your hair and skin woes. It has oil-absorbing, cleansing and antiseptic properties that make it very helpful in treating various hair and skin conditions.Also known as multani mitti, fuller’s earth is a type of clay that contains various minerals, including magnesium, quartz, silica, iron, calcium, calcite and dolomite. Mostly available in powdered form, it comes in different colors, such as white, green, blue, brown or olive.I am sharing 5 face masks using multani mitti powder to take care of the oily skin,acne & pimple prone skin,treatment of scars & dark spots,to improve skin complexion,and improve skin elasticity for younger looking healthy clear skin. Today, I am introducing to an website that helps the users to look for financial services based on its pre calculated profile. 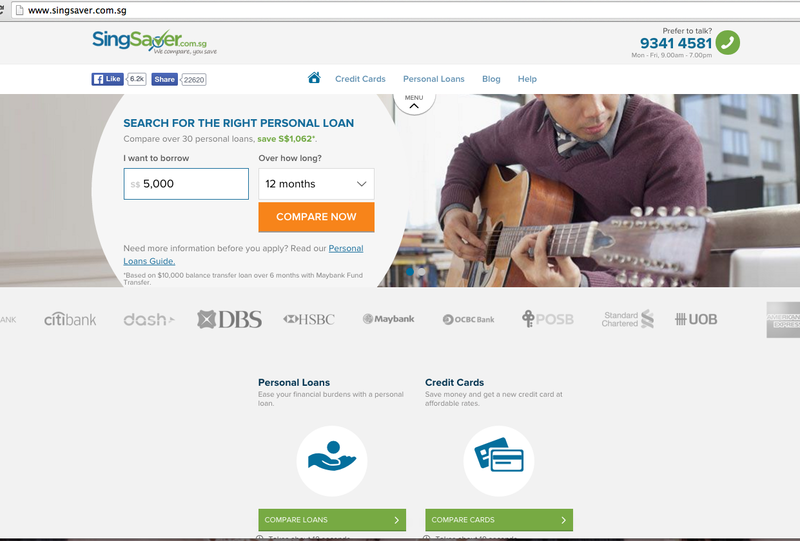 SingSaver.com.sg offers a comprehensive listing of financial products for consumers to easily find information they need in order to make informed decisions. This site helps the users to educate them on how to use the financial products and manage their personal finance to save money.Not everyone knows the rate of all the financial services neither do we have time to call up each service providers & compare the rates. This site does that easily for you & shows you the best options leading to saving consumers time & money. I visited the site & here is how the layout looks for someone who is new into this. I found the site to be easily accessible & understandable. 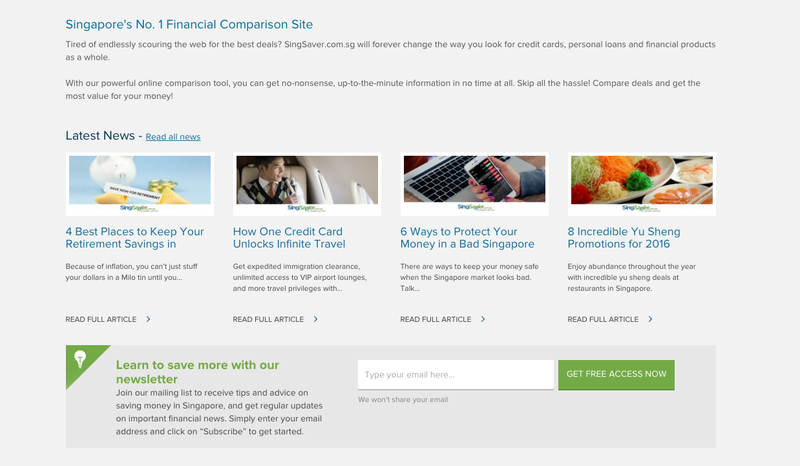 The site provides free , quick & easily accessible resources to understand the different financial products in Singapore. It has free comparison tools & tips on maximizing the use of the financial products and saving money. SingSaver.com.sg is part of the Compare Asia Group, which has launched financial comparison sites in markets like Hong Kong, Malaysia, Indonesia, Taiwan, the Philippines, and Thailand as well. This site will help you to find the right credit card for you or may be the correct personnel loan for you isn't that amazing. The founder of this site Mr. Rohith Murthy has more than a decade of experience in the banking industry.Rohith worked closely with leading banks in Singapore to offer SingSaver.com.sg users the best deals in the market even before the website launched. Check it out yourself SingSaver.com.sg and be amazed. Hey guys, you know it I love shopping & share a lot of HAUL Video on my youtube channel, Like the recent New York HAUL from America :) Video below. Being a Shopaholic I always look for the sale options, & wait for the seasonal sales so that I can shop more. Recently I have been loving online shoppings as it saves me a lot of time & energy.I can enjoy the products sitting at the comfort of my home. But only a few people know that even on online shoppings you can save a lot of money & enjoy the discounts. Yes You heard it right you can save more money on online shoppings. 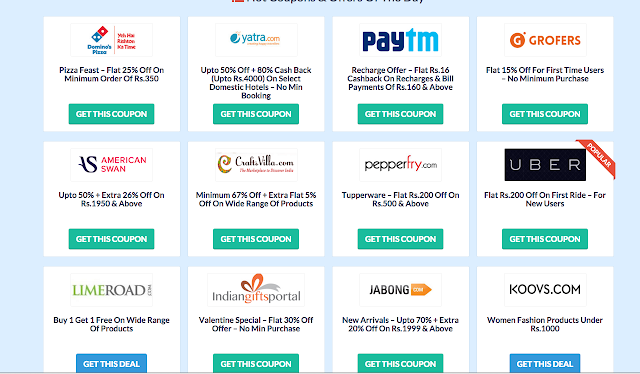 So I found this website called Couponzguru which has exciting offers & deals. 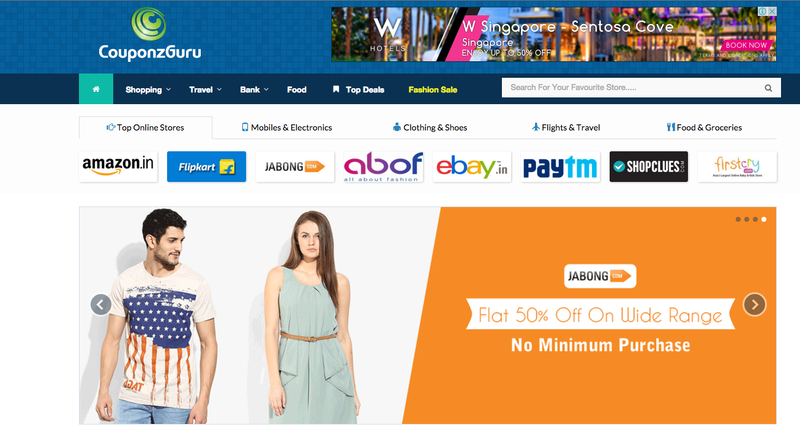 Here is how the website looks when you first visit : The layout is very easy to understand & it has lot of offers. So make sure whenever you do next online shopping you enjoy the offers available at couponzguru . Happy new year & its almost time for the Chinese new year! Have you started your shopping spree? I have used Shop back from last few months . I have talked about my experience with Shop back Below video. ShopBack is a cashback online platform to find coupon codes and promotions on top of cashback . They are global platform available in Globe,Singapore,Malaysia & India. If you love shopping fashion & beauty online like I do, you can buy your makeup and beauty products there. It's so good and I love using ShopBack! For example, you can save with Lazada vouchers when you shop with ShopBack. Also there's lots of TaoBao promotions available for you to get makeup from in ShopBack. You can watch the video to see how to use it haha. You will have to share and invite all your friends to sign up with ShopBack, for a fantastic S$5.00 cash back when making a purchase. 2. 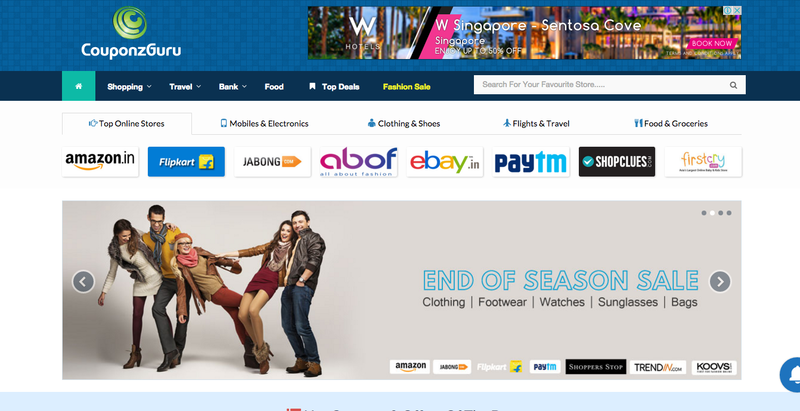 Choose your favourite merchant and get cashback. 4. The CashBack is registered in your account in 2 days. 5. Get it in cold hard cash within 7 working days, woohoo. Missed the Christmas & New year shopping? There's lots of deals this Chinese New Year promotions with the merchants. Shop shop shop with ShopBack now! Hey Guys This video is about Double Winged Eyeliner tutorial, I used black & gold liner to create this fun eye makeup look. Hope you all doing great & having a great start of the new year 2016. I just visited the google Singapore Office for an event & spoke to the crowd as a Top Singapore Beauty Vlogger & creator. Here are some pics taken by the organizers. Also I have been working really hard on my youtube channel & here is my latest Video On Best of Beauty products of 2015 that I have loved & will continue using. Watch the video for all the details. Grab yourself something to eat or Drink before watching as it a long chatty video that I loved filming.